According to a new study, organisations are increasingly concerned with the employee experience as they grapple with the forces of robotic process automation (RPA). Further, operating model issues and psychological barriers hold back RPA efforts. The study, by UiPath, involved 100 decision makers from operations groups, shared services, finance and accounting, HR and other core business lines. Two-thirds (66%) of respondents said that RPA restructures existing work, enabling employees to have more human interactions, and 60% said RPA helps employees focus on more meaningful, strategic tasks. In addition, 57% of respondents reported that RPA reduces manual errors. However, firms are struggling to scale their RPA solutions due to the lack of trained personnel and resources to support and use RPA technology. In fact, a vast majority (93%) of respondents said they struggle to understand the different deployment options available to them. Additionally, leaders must overcome the psychological impact of RPA on their workforce. Communication and collaboration between the business and workers, and well-designed change management programs are crucial. That said, RPA leads to increasingly engaged employees. The benefits of RPA reported by firms include increased efficiency, deeper insights into customers, improved customer service, and improved employee engagement. In addition, with highly repetitive and rule-based tasks being automated, RPA enables firms to create digital workforces that execute repeatable process steps faster, accurately and more cost-effectively than traditional human workers. Most (92%) of respondents expected faster efficiency and 86% said they are seeing exactly that. 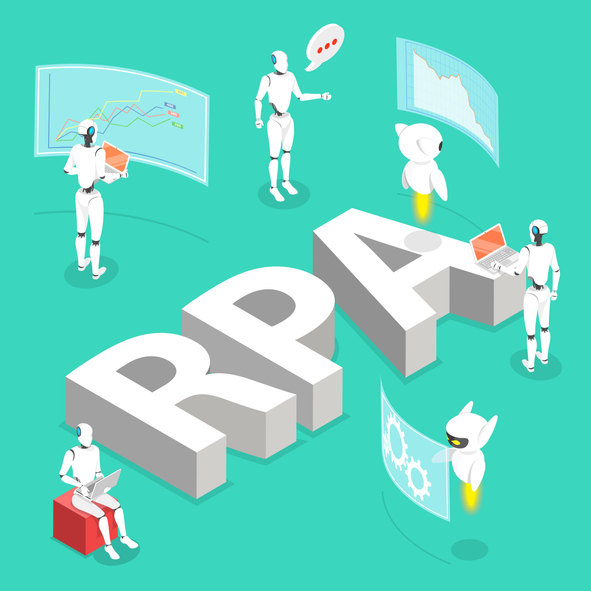 Keeping employees engaged and happy must go hand-in-hand with deploying RPA to improve customer outcomes; firms must be employee-centric as well as customer-centric in their approach to truly capitalize on the advantages offered by RPA.